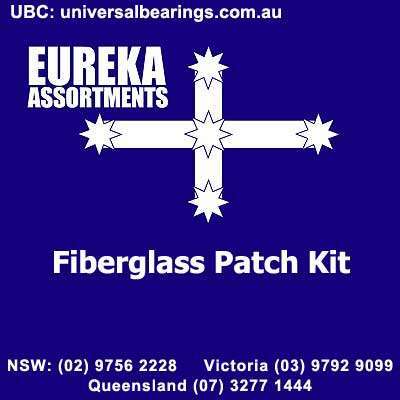 fiberglass patch kit pt-80265. 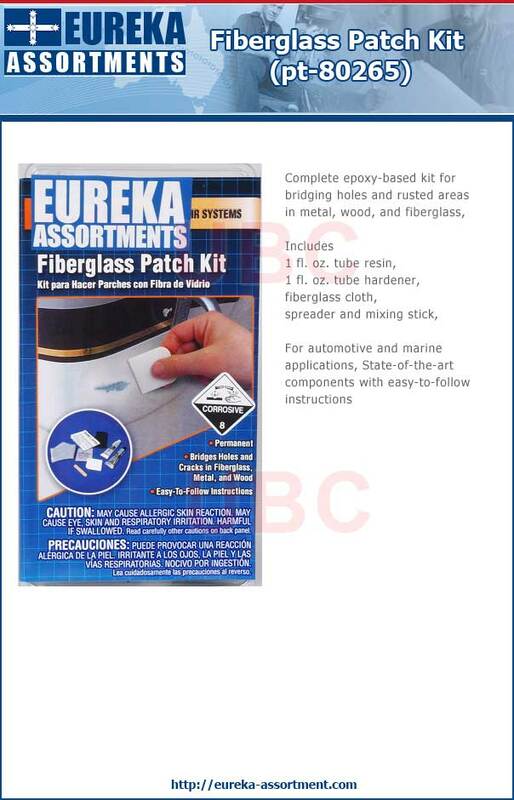 Fiberglass Patch Kit is a complete epoxy-based kit for bridging holes and rusted areas in metal, wood, and fiberglass. Includes a 1 fl. oz. tube of resin, a 1 fl. oz. 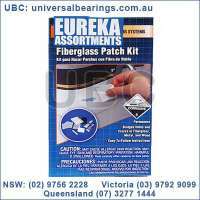 tube of hardener, fiberglass cloth, spreader and mixing stick. 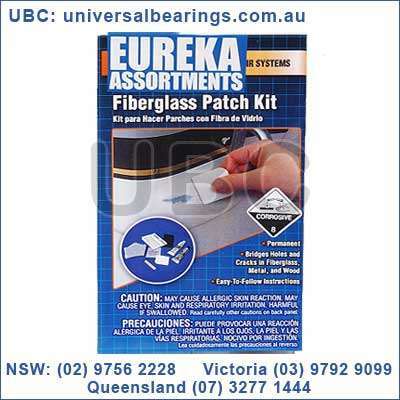 For automotive and marine applications. Permatex provides premium repair kits containing everything you need for making professional-quality repairs in just a few minutes. 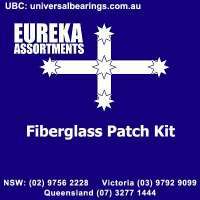 State-of-the-art components with easy-to-follow instructions.